God of War’s story starts with the death of Faye, Kratos’ wife. We never really get to see Faye, and we simply see Kratos and Atreus gathering wood for a pyre, where they burn her body. It is revealed that Faye’s final wish was for Kratos and Atreus to scatter her ashes from the highest peak in all the realms, and that’s exactly what they intend on doing. This is pretty much the main goal of the game. As they burn Faye’s body, Atreus quickly grabs his mother’s knife from her body. After that, they begin setting off on their journey to the mountain peak of Midgard. However, before the journey starts proper, a Stranger attacks Kratos at his house. He clearly isn’t mortal as he possesses superhuman strength like Kratos. The two engage in a heated battle before Kratos finally manages to beat him and toss him off a cliff, presumably killing him. Along the way, the meet Brok, a blacksmith dwarf who notices the Leviathan Axe on Kratos’ back. He tells Kratos that he and his brother were the ones who forged the Axe, and that he can upgrade it for him. We also learn that the Leviathan Axe originally belonged to Faye, and the dwarves had crafted it for her. 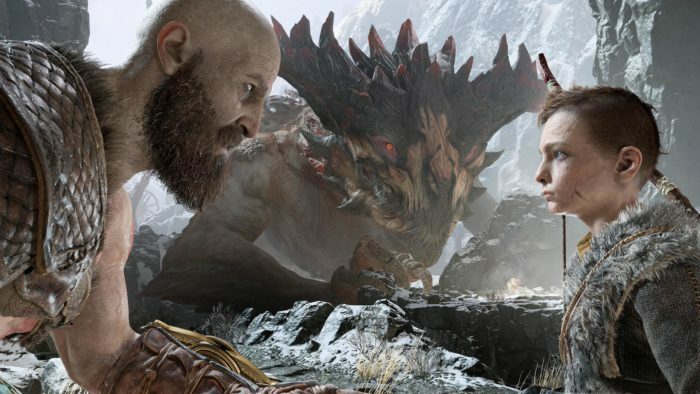 Kratos and Atreus continue on their journey, and they decide to hunt a boar along the way. However, Kratos soon loses track of Atreus while tracking the animal, and he gets lost in fog. When he finally finds Atreus, it turns out that the boy had shot down a magical boar, and a witch appears to confront them and forces them to help her save the animal. The witch introduces herself as Freya after Kratos and Atreus gather the herbs needed to help the boar. Freya then offers them her boat to sail to the Lake of the Nine, where they soon encounter the World Serpent. They also meet Sindri, Brok’s brother, at the foot of the mountain before they make their way up. However, they soon encounter a road block at the mountain. Some sort of black fog called the Black Breath blocks their way. Freya shows up and tells them that they need the Light of Alfheim to dispel it.